Quick trip to the river and two missions; the first hour was spent trying to better my minnow PB from a shoal I spotted last week. I caught minnows and big ones - but they maxed out at 12 grams - goes to show how special that 18g fish was. The only other fish was a tiny stickleback - wonder where the gudgeon are? 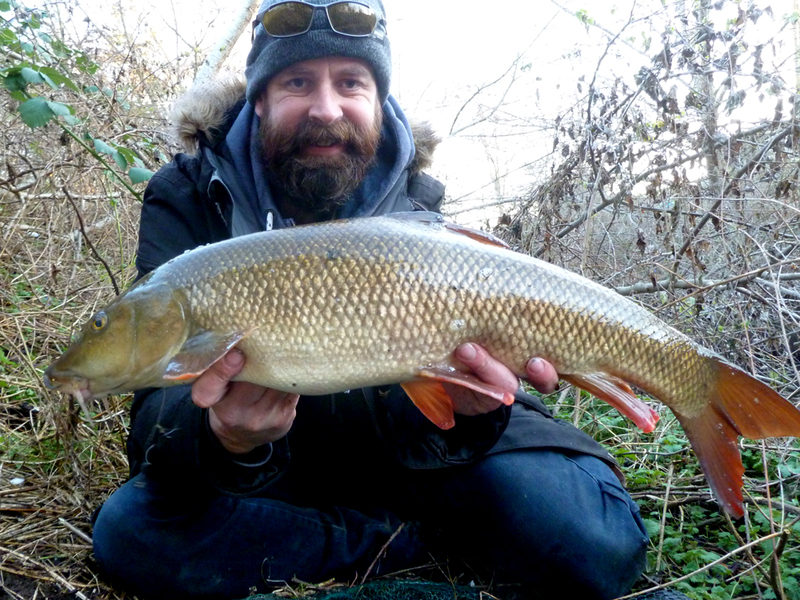 I then swapped the 2.5lb line for 8lb, maggots for meat and went for a wander, searching for barbel in the clear water. I lost the biggest fish I spotted to a hook pull, probably wasn't a double but looked a good nine, never mind I landed four more of 7lb 4oz, 6lb 10oz, 4lb and 2¾lb, plus a bonus chub about 2lb. 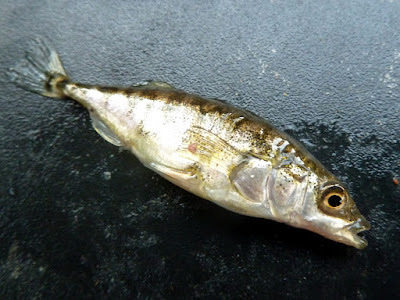 Is there a record for Stickleback? I had a job a few years ago where a swimming pool had flooded from a river, was left about 5 years and needed refurb. It was full of Newts which the owners paid us to catch and put in a nearby pond, as well as the Newts I caught a single fish a Stickleback about 4" long the biggest I have ever seen. 4 drams (7 grams). And if it was 4" long it would have smashed that. But you have to catch them on rod and line for them to count. (This one was less than an inch). OK, but I'm putting it in my smaller swimming pool - I don't want to tie up the big one for 5 years! (And I keep my pet pike in the jacuzzi).